Lawrenny Lodge is situated at the harbour end of Barmouth - a blue flag resort - overlooking Cardigan Bay and the Mawddach estuary. We are only a few metres from the iconic Barmouth Bridge and five minutes walk from the beach, town and harbour area, in fact there is a 'secret' beach a hundred metres or so away. 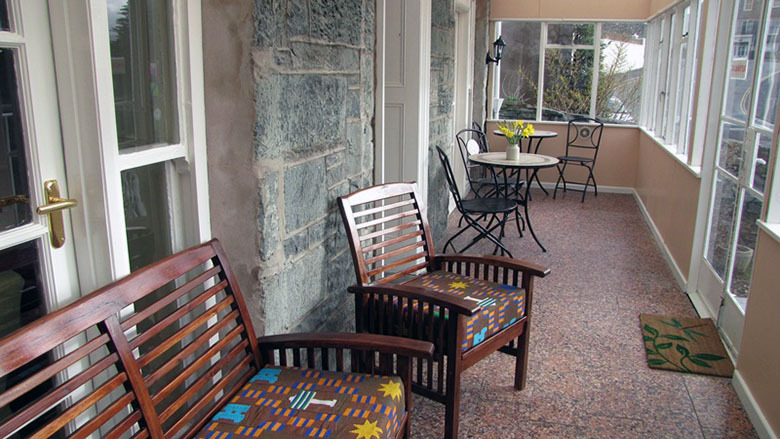 We are situated near to the start of the Mawddach Trail and the Panorama Walk. For breakfast you can have the full Welsh, or lighter options. Our food is sourced locally, and bought from local farms and markets whenever we can. We have a comfortable lounge area where you can relax after your day out and about and a bar so that you can enjoy a quiet drink as the sun sets over the estuary. Barmouth is well located as a base for walking, bird-watching, cycling, mountain- biking and exploring the breathtaking scenery of Snowdonia National Park. 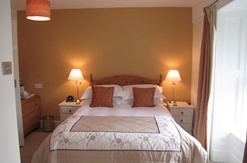 We offer eight comfortable bedrooms, some of which have river and sea views. Our rooms have private en suite facilities and are a mixture of twin and double rooms plus one single. Please note, due to the age of the building, most of our bedrooms have steps up or down into the bathrooms and are unsuitable for those with limited mobility. We are happy to discuss your requirements if you think this might cause you difficulty. We do not have any guest accommodation on the ground floor.